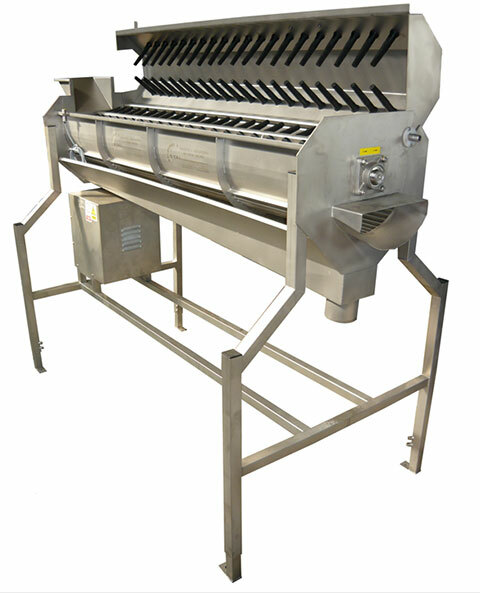 The cylindrical cleaner is designed for cleaning bird heads after the scalding process. All components of the cleaner are made entirely of high-quality stainless, acid-resistant materials. For optimum use and proper processing flow, the cleaner should operate along with a head puller. Then, the removed heads may be transferred directly to the cleaner inlet. The rotating cleaning shaft moves heads among rubber fingers which clean them. Water with offal flows into the gutter through the openwork bottom and further to the sewer.